A lot of college baseball players don't go home for the summer. Instead, many make their way to tiny dots on the map like Falmouth (Mass. ), Celina (Ohio), DeLand (Fla.), or Quakertown (Pa.), to play in one of a handful of summer leagues. The epidemic of offense hasn't just been felt on Cape Cod. Offensive numbers are up dramatically across the country in other National Alliance of College Summer Baseball leagues. The Florida League saw their homers increase from 57 to 158. The Great Lakes League went from 99 homers in 2011 to 276. In the New York Collegiate Baseball League, the total exploded from 117 to 315. And in the Valley League, homers rose from 287 to 469. I took a look at the numbers from the Atlantic Collegiate Baseball League, which I covered once upon a time, and noticed a similar trend: Home runs from last year to this year jumped from 153 to 420—a significant increase, even after factoring in that the ACBL expanded this year from 12 to 17 teams. Several Cape Cod League players told Enterprise that something just feels different this summer. What it is may be best explained by the fact that all of the NASCB leagues have an exclusive agreement with the same baseball manufacturer. That company, Diamond Sports of Santa Ana, Calif., told Paul Galop, the Cape Cod League's commissioner, that its baseballs were made in China, and the company did not respond to numerous requests for comment from Enterprise. Some MLB scouts told Galop they don't feel this summer's stats from around the NASCB leagues are reliable barometers of talent. And after two Cape Cod League general managers cut one of this year's baseballs open and compared it to one of last year's, Maclone did the same. All of them discovered that the ball being used this year has a core that is significantly harder than last year's. 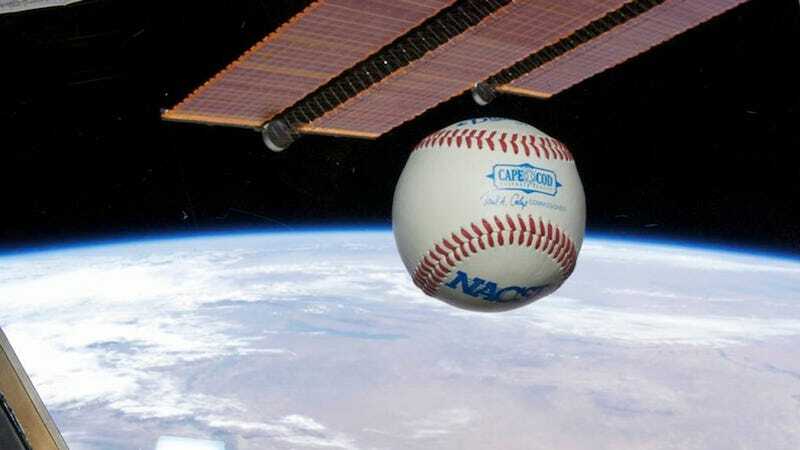 Alan Nathan, a physicist who "specializes in the science of baseball," said he would like to see additional data before drawing any conclusions, but he also told Enterprise this: "It would not surprise me at all if the ball was juiced." It's worth giving Enterprise's story a read here.